Disneyland has a lot to hide. Well, that sounds nefarious, so how about, Disneyland has a lot for you to discover. And I don't mean wait times and ride descriptions. I mean the deep, rich, hidden legacy of the park. Its real secrets. No one knows Disney history better than Disney historian Jim Korkis. 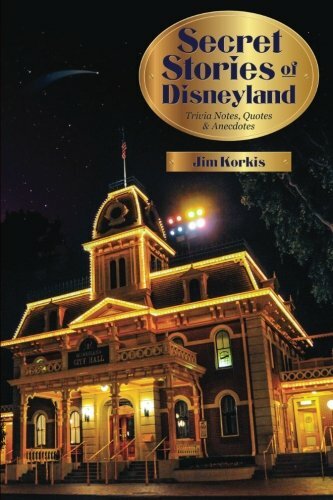 In this book, the latest in his best-selling "Secret Stories" series, he unearths still more theme park gold and presents it in bite-sized stories that you can enjoy while waiting in line, sitting in a monorail, or whenever you have a few moments to fill with fresh Disney knowledge. With over 90 "mini chapters", organized by theme park "land", plus a special section devoted to some of the attractions that exist beyond the berm, you're sure to discover new lore about the happiest place on earth.